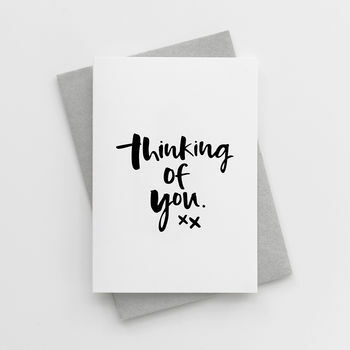 A beautiful hand lettered thinking of you card. The perfect 'Thinking of You' card without the cheese! Our unique, contemporary and eye catching designs are printed on luxurious eco friendly, textured 350gsm card and teamed with a recycled soft grey envelope.